The untold truth of Jeopardy! After a run in the '60s and '70s, Jeopardy! returned to TV in 1984. Ever since, it's aired nightly in syndication across the country, consistently ranking as one of the most-watched game shows on TV. 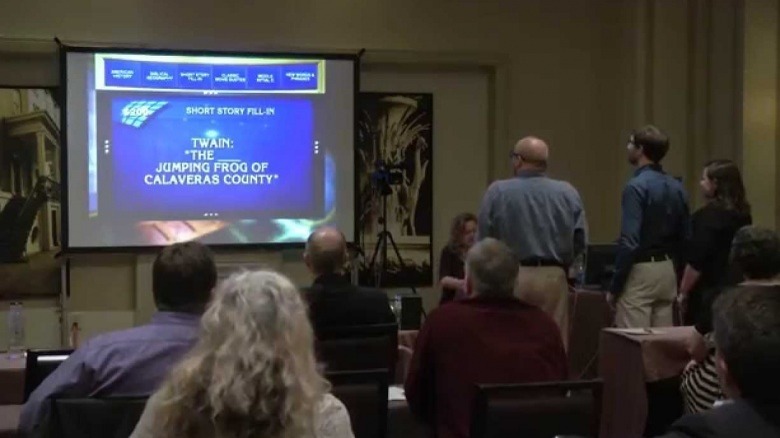 Part of its appeal lies in its reverse format: contestants are given answers and have to provide the questions to match, always making sure to phrase their response in the form of a question. Step out of line, and they risk invoking the clipped ire of suave host Alex Trebek. Here's a look behind the scenes of one of the fastest-moving—and toughest—game shows in TV history. In the early 1960s, the TV game show was virtually dead—the quiz show cheating scandal of the '50s meant networks and audiences alike no longer believed question-and-answer shows were legitimate. Nor were networks keen on producing under new, strict Federal Communications Commission guidelines to ensure that game shows were fair and real. But in 1963, TV producer, talk show host, and musician Merv Griffin had an appointment to pitch new shows to NBC, and he thought the time was right for a revival. He knew that for the network to bring a new game show into production it would have to have an irresistible hook. Griffin credits his wife Julann for giving him the idea that put his proposal over the top. 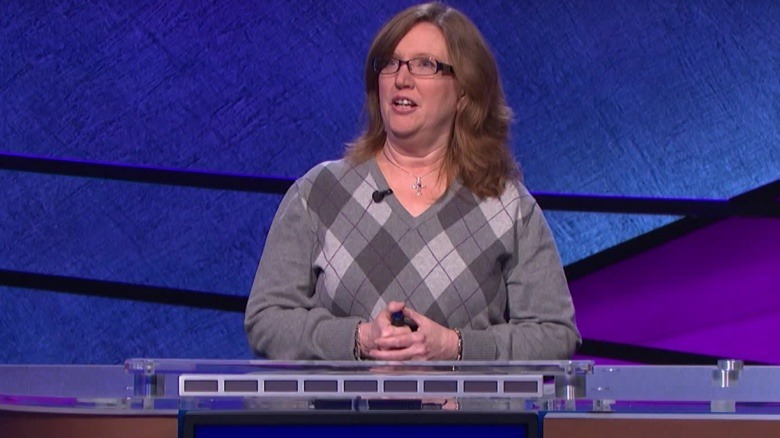 While on a flight from Minnesota to New York, she suggested a show in which the contestants are given the answers by the host, and they had to come up with the questions. (A somewhat similar show called CBS Television Quiz aired from 1941 to 1942, but as TV only reached a few thousand people at the time, it's unlikely either Griffin had ever heard of it.) NBC loved the idea, and the first iteration of Jeopardy! went on the air as part of NBC's daytime lineup in 1964. It ran for 11 years and was hosted by Art Fleming, who also hosted two unsuccessful revivals in 1974 and 1978. 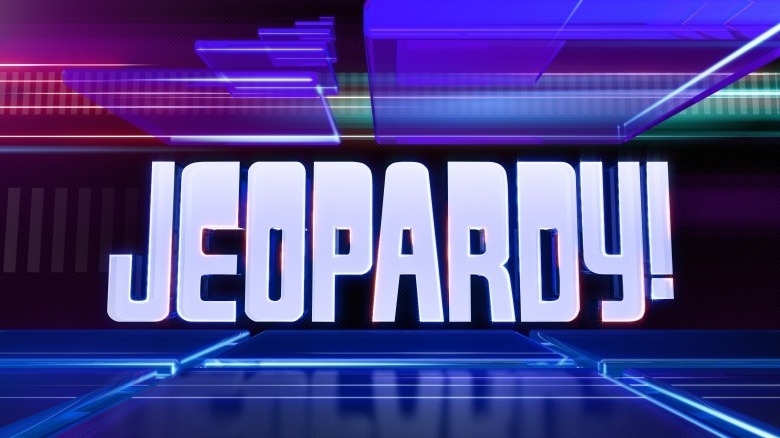 The current version debuted in 1984 with host Alex Trebek, along with a more modern-looking set: answers and questions appeared on TV monitors instead of pre-printed on cardboard signs. Each year, Jeopardy! offers a contestant test online. It consists of 50 general knowledge questions, and applicants have about 15 seconds to answer each question. If the contestant does well enough (they probably have to get close to 100 percent), a few weeks later they'll be contacted by a contestant coordinator and invited to a live audition with 20 to 30 other people, held in hotel ballrooms in a handful of cities. It's up to the potential contestant to get themselves to the grueling, three-hour, three-part audition. Part one is another 50-question written test. Part two is a mock game of Jeopardy!, including a computerized board and buzzers, just like on TV. Scores aren't kept—it's a test to see if contestants speak loud and clear, don't freeze up, and keep the game moving along. Part three is an interview with a panel of producers. The point of the whole rigamarole is basically to see if the contestant is engaging enough to make for good TV. If they do well with all three tests, a month or two later they'll get another phone call with the news that they're officially in the Jeopardy! contestant pool. Sometime within the next 18 months, they'll get another call inviting them to come to Culver City, California on a specific date to tape their episode. Again, the contestant has to get there on their own dime. Out of an estimated 100,000 people that take the Jeopardy! test, only 3,000 get an audition. And out of those 3,000, only 300 make it onto the actual show. That's a 0.3 percent success rate. Since the quiz show cheating scandals of the 1950s, game shows like Jeopardy! have to be very transparent to make sure no cheating occurs. 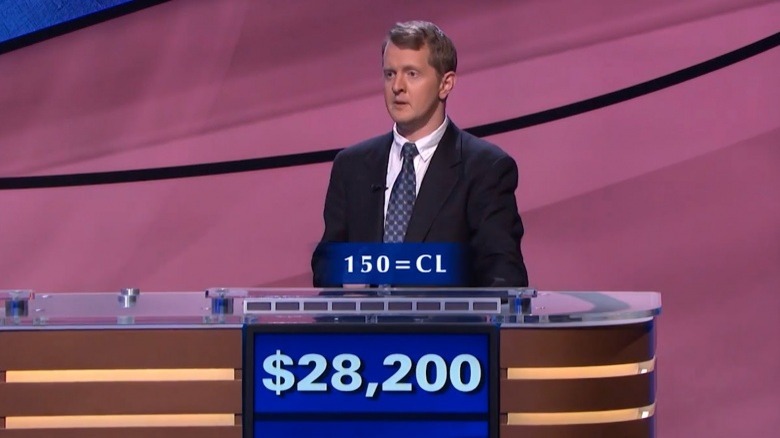 Under FCC rules, quiz show hosts must not interact with contestants at all before the game. To that end, Trebek's dressing room is on the other side of the studio complex, and contestants are kept in a holding area with snacks and water right behind the set. 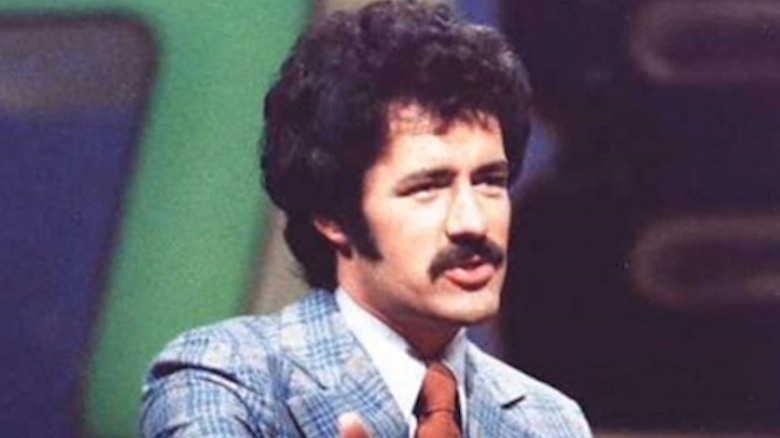 Trebek doesn't see the contestants until the episode is taping, the announcer calls his name, and he comes out onto the soundstage. Once it begins, the show is shot in real time, with commercial breaks factored into the process. During those pauses, Trebek re-records any question reads he may have flubbed during the previous segment, and takes questions from the audience—but he still doesn't interact with contestants, because the show is still technically taping. 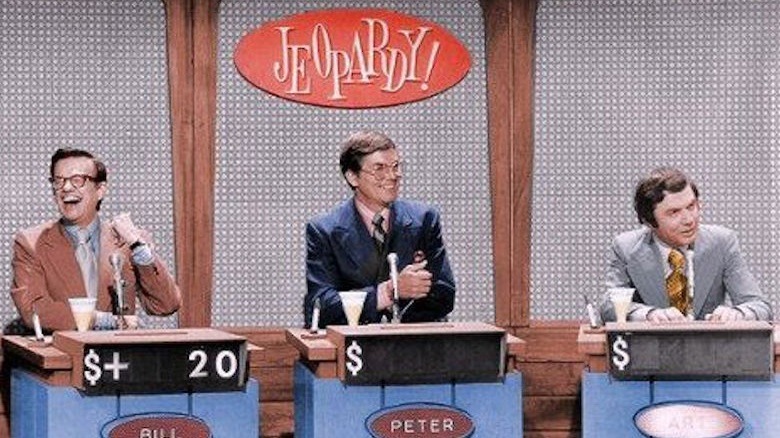 At the end of each episode, the credits roll, and the three contestants stand in the front of the stage, talking with Trebek. Once the credits stop rolling and the director gives an "all clear," Trebek leaves the set immediately. To fraternize further would be untoward, as one of the three is still a contestant: the "returning champion" for the next episode. Contestants don't have to read the question on its little monitor from all the way across the set. Instead, the selected question (or answer) fills up the entire bank of monitors (viewers at home just see the text of the answer fill up their screen). Jeopardy! contestants are generally a smart bunch, not to mention fast readers, so they've got the clue read and a response ready to go before Trebek has finished reading it. But they have to wait until he stops speaking to ring in with their buzzer: on each side of the monitor bank are a series of lights that turn on as he starts to read. As he goes along, the lights go out one by one, and when he stops, they're all off. Only then do contestants get a chance to ring in. If they try before the lights have all gone out, they're locked out of responding to that clue. The prize for the first-place contestant is the actual amount on their money board at the end of the game—and they get to keep going on subsequent episodes until they lose. No matter what the board says for the second- and third-place finishers, however, they're awarded a flat amount, even if it's a dollar less than first place, or nothing at all. Second place fetches $2,000 and third place gets $1,000, arriving via check after the contestant's episode airs. Also arriving in the mail, but a few weeks after taping: the show's sole "fabulous parting gift." While Jeopardy! no longer awards cases of Turtle Wax or Rice-A-Roni, contestants do get a special keepsake: A picture frame that says "Jeopardy!" on it, along with a photo of themselves taken on the Jeopardy! set with Alex Trebek.